Department of Endocrinology at AIMS is a state-of-the-art facility which provides tertiary level care in hormonal and metabolic disorders. The department provides a complete range of medical services for diagnosis and treatment of thyroid orders, obesity and PCOS (Polycystic Ovarian Syndrome). 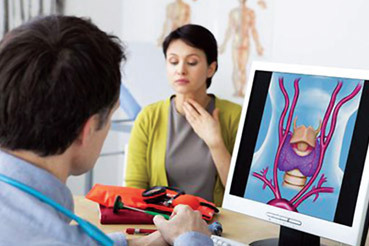 Most common thyroid related disorders: Hyperthyroidism and Thyroid nodules. Thyroid disorders, if not managed adequately during pregnancy, can have severe detrimental effect over the foetus. 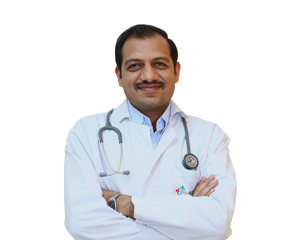 Complete range of medical services for diagnosis and treatment. Excellent laboratory services for assays of thyroid hormones. Facilities for ultrasound guided FNAC from thyroid nodules, radionuclide thyroid scanning and radioiodine ablation. Actively supported by a very experienced and excellent surgery department. We provide comprehensive diagnosis and management of various pediatric endocrine disorders in collaboration with our pediatricians.